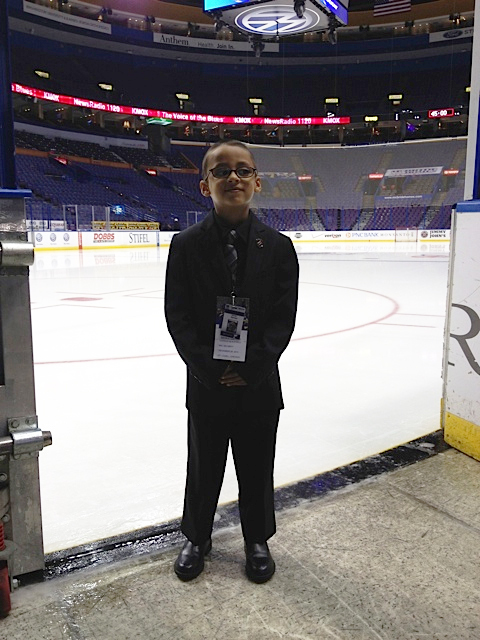 One of our amazing patients Dorrian had an AMAZING night on Saturday, December 28, 2013 at the St. Louis Blues game. 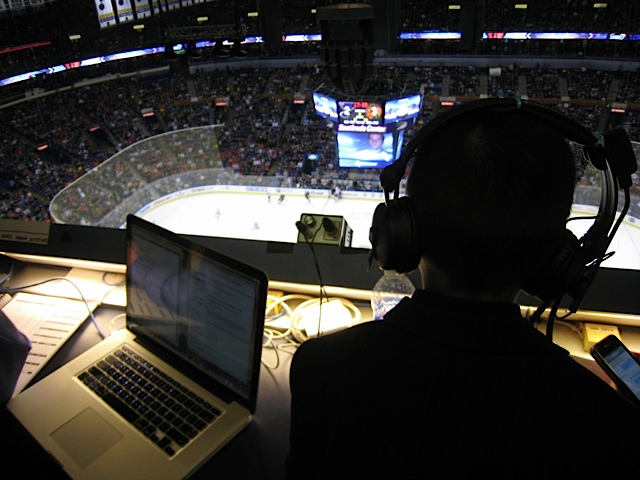 Not only were thehometown St. Louis Blues facing-off against the rival Chicago Blackhawks, Dorrian got to spend the evening as a member of NHL Security! 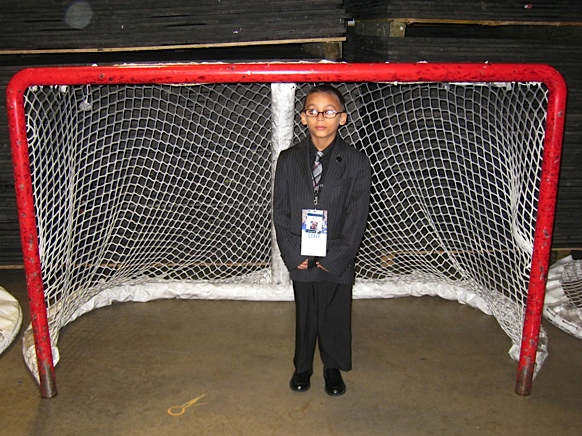 Dorrian escorted the referees safely to the ice for the start of the game. 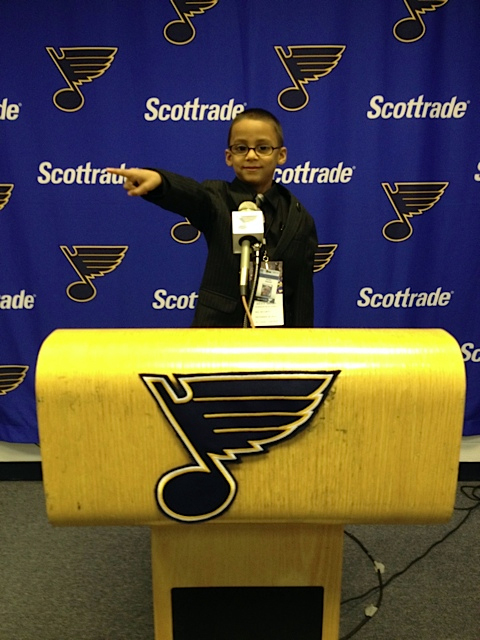 He got to talk to St. Louis Blues Head Coach Ken Hitchcock to make sure he didn’t need anything. 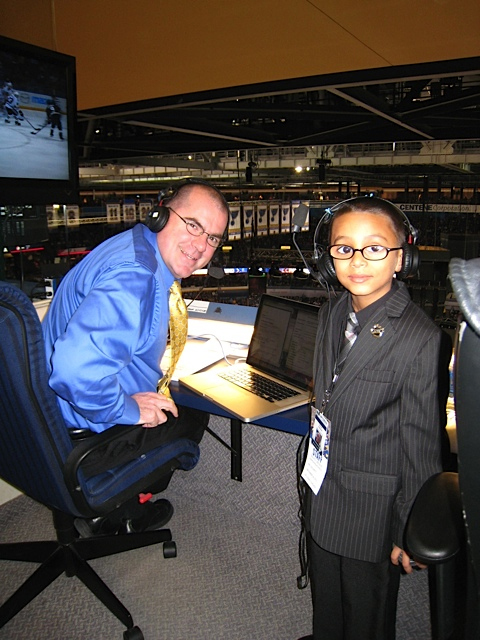 Dorrian then traveled to the press box to make sure the TV and radio anchors were all set. 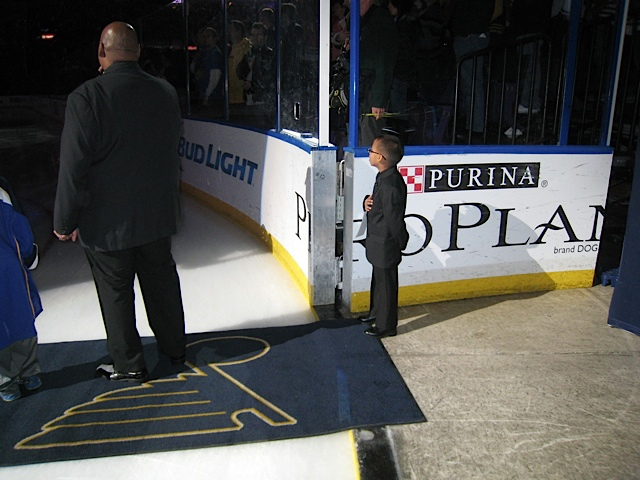 After singing the National Anthem on the ice, Dorrian stood on the bench, waiting to fist-pound the St. Louis Blues players as they entered the ice. 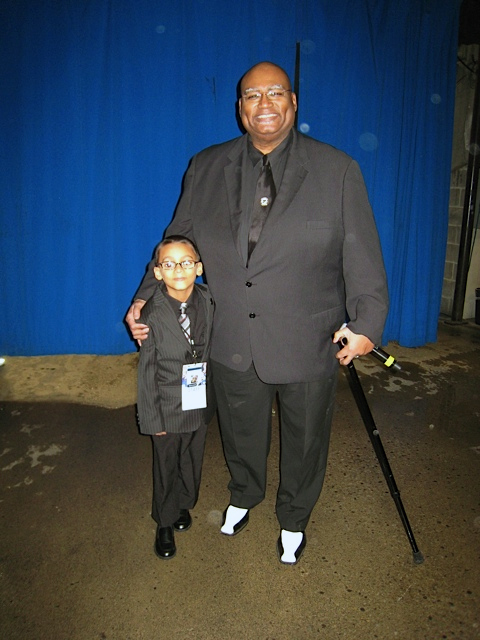 He took the NHL Security title to heart; he didn’t want to smile in any pictures because he was supposed to be a tough/rigid security guard! 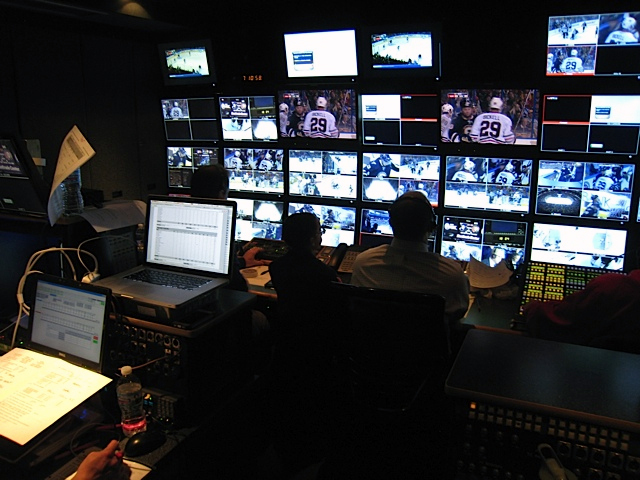 Big thanks to Jim Maier, NHL Security and the NHL. 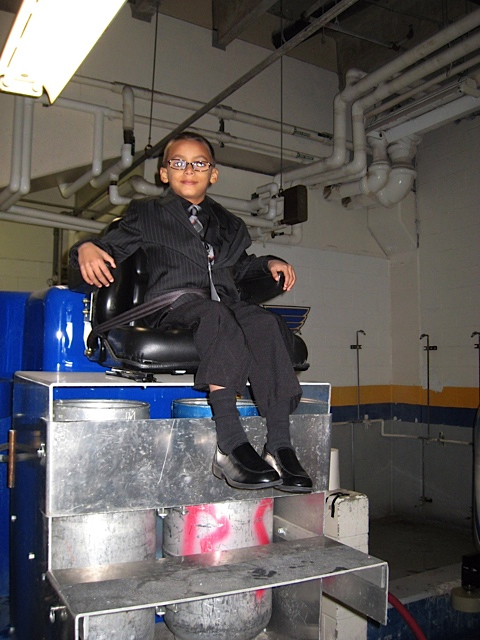 Dorrian had an amazing time. 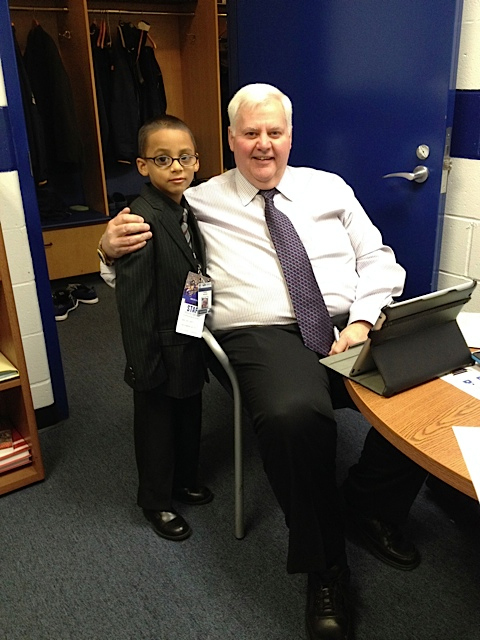 Thank you for helping kids with cancer…be kids! 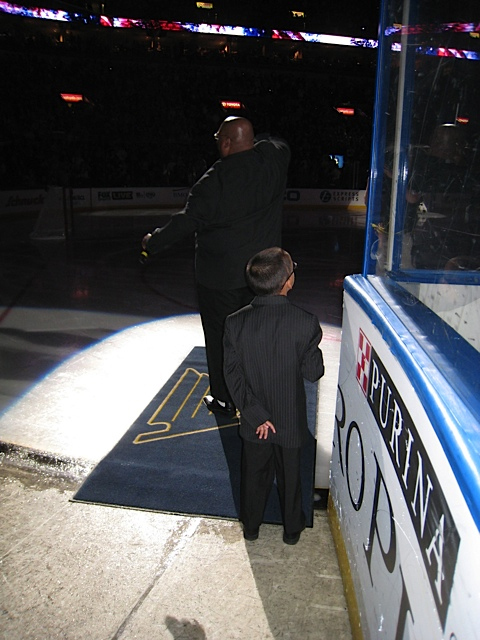 Check out these cool videos of Dorrian's night as an NHL Security Guard!